In the Spring of 2009 my company was contacted by the costuming department for the TV show Mad Men. Season 3 had several pregnant characters. 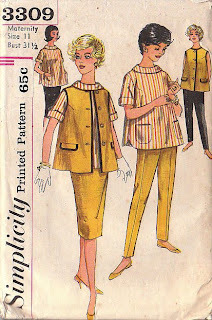 The designers contacted me for sewing patterns for day and evening maternity wear, and outfits. 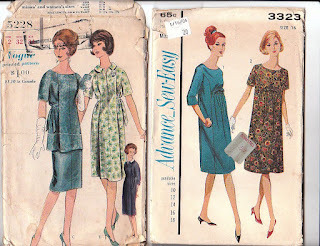 I know from reading up on the show, that they use a lot of original vintage outfits for their costume department - but who in the world would save their maternity clothing from the 1960's? I'm sure they mixed and matched elements from various patterns to put together their outfits. I am sure they also looked at image of Jackie Kennedy from when she was pregnant. 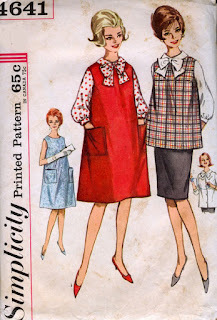 What you don't see from the sewing patterns is construction details of the maternity patterns. Modern patterns have a stretch panel to help with the changing body shape of a pregnant woman. 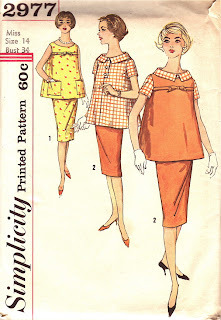 The maternity sewing patterns that I have from the 1960's use a series of ties and overlapping sections. Here are some images of the patterns they purchased from my company. See if you can match them up with the Season 3 costumes! Are you tired of the same old maternity designs, or lack of sewing patterns for maternity clothes? 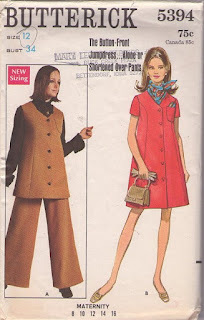 Check out the vintage ones at Patterns from the Past!